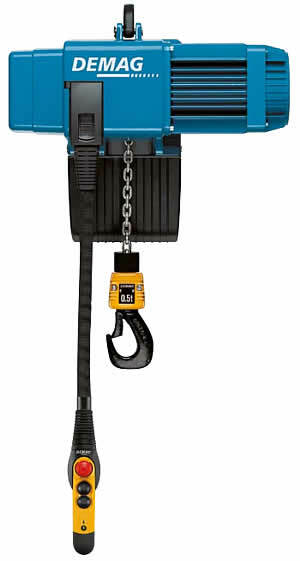 The DCM-Pro Manulift electric chain hoist was developed for handling loads quickly and safely with only one hand. The DCM-Pro is based on the lifting unit of the DC-Pro chain hoist and the DSM-C control unit. Thanks to the control unit which is rigidly connected to the load handling attachment, the operator only needs one hand to operate the hoist and guide the load.